Thanksgiving dinner is one of my favourite family gatherings. Focusing on the fruits ( and veggies ) of the season makes for a fabulous feast. Our meal starts with a small sip of soup - Autumn Soup. 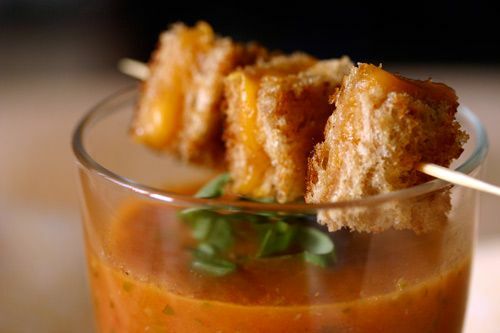 I love this serving idea from Pinterest and decided to serve my Autumn soup with mini grill cheese. Melt butter. Cook onions and leeks until soft. Add potatoes, carrots, squash and cook for 5 minutes. Add stock, cover and simmer for 20 minutes or until vegetables are cooked through. Puree in food processor and return to pot. Stir in wine and slowly heat. ( Although the recipe calls for cream, I find that the soup is nice and thick, and who needs the extra calories!) Season with salt and pepper. Enjoy! 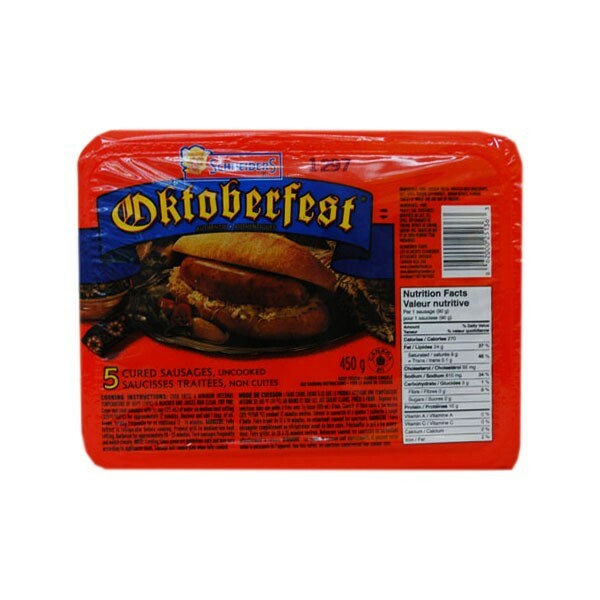 Up next is Octoberfest Sausage grilled and served sliced with Octoberfest mustard. Happy October(fest)! Our meal is pretty traditional - turkey, stuffing, squash and mash potatoes. Click here for the recipes which were posted last December. Pumpkin pie finishes off the meal but I love my mom's Apple Crumble Pie. So to use up some of my apples that I use as table décor, I will make an apple pie for the day after thanksgiving. Preheat oven to 375 degrees. Slice 8 -10 apples into an uncooked pie shell. ( I used a combination of Cortland, Empire and Macintosh). Sprinkle with 1/2 cup of sugar and 1t cinnamon. Top with crumble of 1/3 cup butter, 1/2 cup white sugar and 3/4 cup flour. Bake for 50 minutes. I am so grateful for our family and cherish the holiday gatherings. The extra effort and special details are my way of making everyone feel special and creating a memorable occasion. And to 'thank' our guests, they will leave with a sweet treat.